Project management training gives you a competitive advantage to deliver on time, on budget, and within scope. 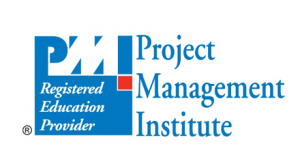 When that training is with a Project Management Institute (PMI)® Registered Education Provider, you can be confident that your training aligns with A Guide to the Project Management Body of Knowledge (PMBOK® Guide) practices. Penn State instructors demonstrate a proven track record of providing highly effective solutions personal industry experience with in-depth knowledge of project management best practices apply on the job right away. Many of our professional development courses can be customized to meet your organization’s needs. Working in conjunction with you, we will build a tailored program focused on improving skills with practical application. For additional professional development opportunities or to learn more about a program, contact the appropriate campus, via the links above. PMI, PMBOK and the PMI Registered Education Provider logo are registered marks of the Project Management Institute, Inc.